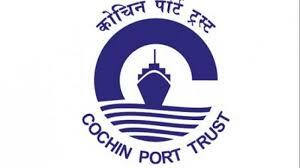 Cochin Port Trust, an autonomous body under the Government of India and which is the largest port in India invites applications from eligible candidates for the post of Senior Deputy Chief Accounts Officer (1 post) in Cochin Port Trust on regular basis. Essential qualification and Experience -Member of Institute of Chartered Accountant of India or Institute of Cost and works Accountants of India. 12 years experience in Executive Cadre in the field of Finance, Accounting in an Industrial /Commercial/ Government Undertaking. Relaxation will be applicable as per rules.